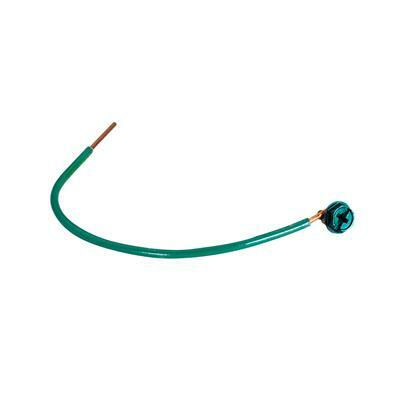 Topaz’s Green Pigtail with a Hex/slotted/Phillips head ground screw is recommended for grounding receptacles to steel boxes. Plated green to ensure proper identification; fabricated from copper. 7 1/2” 12GA. solid and 7 1/2” 14GA. solid sizes available.